SPRING IS IN THE AIR!!! Am Loving the weather these days. The air has a crispness in the morning, remanent from the Winters but makes the day all the more vibrant. A quick walk in the fresh morning air boosts your mind and metabolism alike. So, with all the freshness in my mind, I am sharing with you all an amazing product. 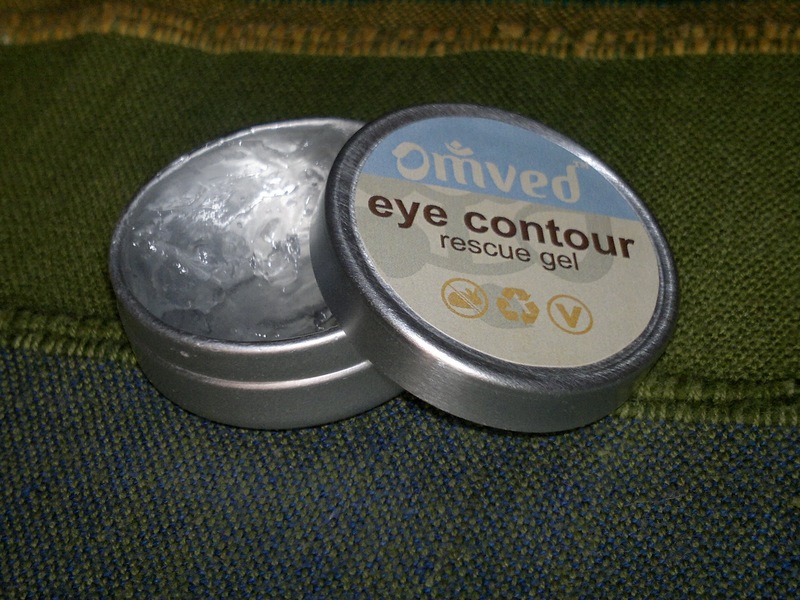 The product is Omved Eye Contour Rescue Gel. pure - 100% pure extracts, no fillers, no adulteration, no cheap replacements. living - with active ingredients, virgin cold pressed oils, not blended by heat or under pressure. they are ALIVE. They are made with botanical extracts and pure therapeutic grade essential oils preserved in natural preservative systems that are safe for you and the earth. Our formulations are PETA Vegan certified and the Ayurvedic classical oils which may contain some milk are PETA certified. We made it our resolve at Omved that we would get our products certified by the Environment Working Group's Skin Deep site. It was a mammoth task since none of our FDA certifications are accepted by them. (infact in India until a few months ago companies were not even required to list ALL their ingredients on their labels!!) I am very proud that Omved passed all their stringent criteria and has been declared the innovator status! (one of the only 110 in the world!! ).We are India's FIRST and ONLY company to be signed on! When I received it, I was like what could be special about one more aloe vera based eye gel, but I was to be proved wrong. Price: INR 370 for 15 gm of product. I have 8 gm of the product, which costs INR 200. My experience has been fantastic with this eye gel. 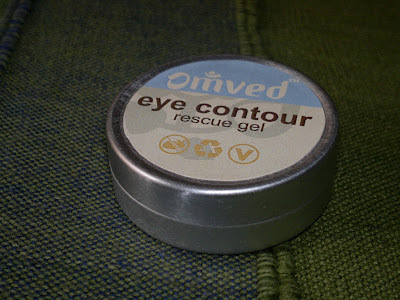 I have tried two under eye aloe vera gels from FabIndia and Vedic Line earlier, but this is unlike them in so many ways. Firstly, it includes the goodness of aroma oils of lavender, chamomile, vetiver. It is a little thicker than the earlier gels I have used, though it absorbs easily. 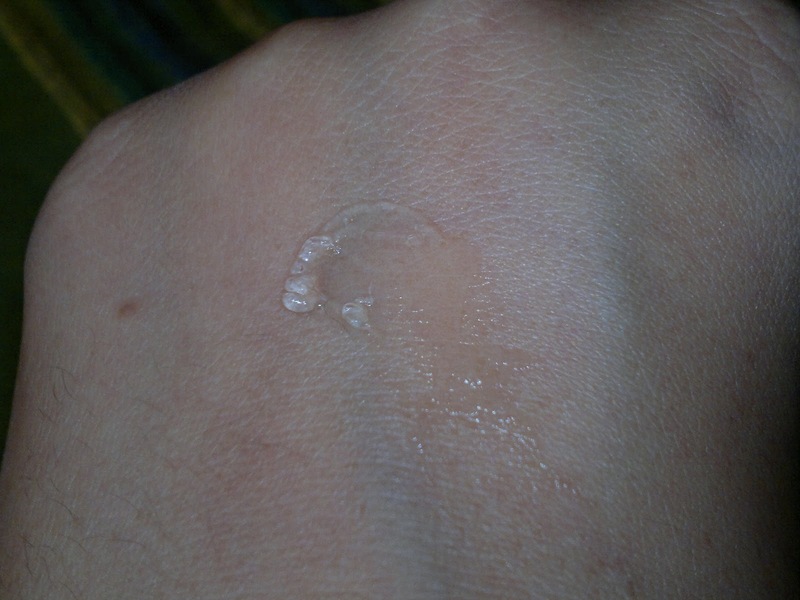 After absorbing, I experience a warmth spreading around my eye area, nothing uncomfortable but it may be due to essential oils penetrating beneath my first layer of skin. The only instruction provided by the brand says that the gel should be used at night. So, I have applying this gel during the night only. Once I wake up in the morning, I find my under eye area to be fresh and taut. My eye makeup has started to glide on more smoothly than before, I feel. Product rating: A. Available at Omved store and website. Would definitely repurchase this. Wish they would open a store soon in NCR. Am really looking forward to try out more products from them. P.S. The product was sent by the brand for consideration. Oh I would love to try these because I have puffy eyes and I would love to settle them to nothing. you should try this, it does soothe the eye area beautifully.